Happening Right Now! In Your Neighborhood (Honest)! 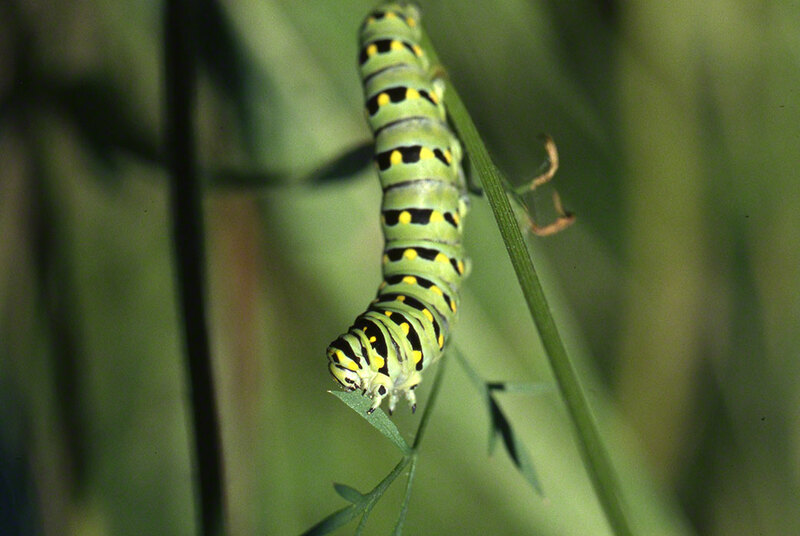 Our Eastern Black Swallowtail caterpillar(larva) is passing this August 17th morning slowly and methodically eating the leaves of Queen Anne’s Lace and other members of the carrot family. This behavior began when the sun’s morning rays began to warm-up this wildflower bed, just at the edge of a regularly cut roadside. This caterpillar followed standard behavior, eating for 1.5 hours, and then moving down toward the ground and out of sight for the remainder of the hot day.